Hug your backup guy! Buy a beer for the network dude! Go easy on the helpdesk! Change your password and wink at the security team! Smaller delay between when you open a new PowerShell session then try to tab-complete. Waiting that few seconds is always so annoying! 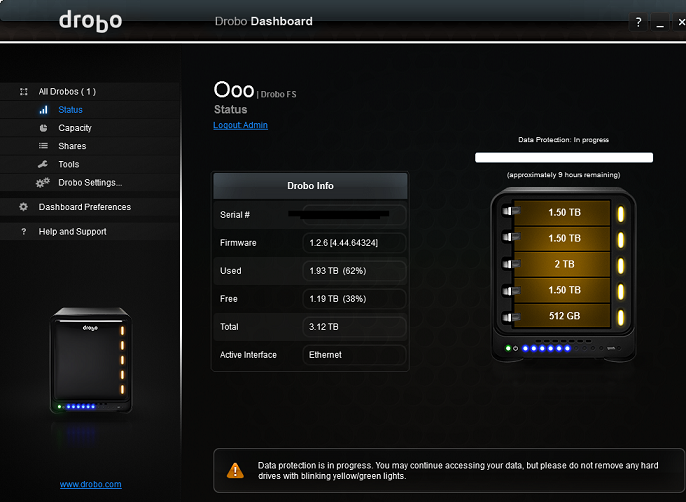 So I’ve started the long process of downgrading my Drobo 5S storage. I’m trading out cheap, slow drives for SSDs. I’m hoping I can get the total noise down significantly so that I don’t hear it. It sits next to my TV and can be distracting sometimes. Once all the noisy drives are gone, I’ll see about replacing the chassis fan to seal the deal. I’m going to hug a storage admin when I go in to work tomorrow. The stress of rebuilding drive arrays for your most valuable content…. phew! I’ll try not to stay up all night staring at the progress bar and health indicators. Good news! If you have Server 2003 systems sitting around, after today you’ll only have one more set of Windows Updates to apply. Then you’re free from scheduling those maintenance windows ever again! I suppose after you’ve done that, you could even remove 2003 from the list of products on your WSUS servers and free up a chunk of space. Oh wait, you still want security updates and support when something goes terribly wrong on your OS? Just do what the US Navy did and pay 9 million dollars to Microsoft. I suspect there might be some hidden additional costs when you encounter scenarios like virtualization where Citrix or VMware stop supporting 2003 as a VM guest. But like the cool kids were saying back in the day, YOLO. I mean, that OS is only 14 years young. With about a week before the end of support for Server 2003, I was getting sad that I don’t have a big Microsoft thing to track a countdown for on my whiteboard (besides Windows 10). But good news! Next up on the chopping block: support for Internet Explorer Everything (10 and below) ends in January 2016. Beginning January 12, 2016, only the most current version of Internet Explorer available for a supported operating system will receive technical support and security updates. Please visit the Internet Explorer Support Lifecycle Policy FAQ here http://support.microsoft.com/gp/Microsoft-Internet-Explorer for list of supported operating systems and browser combinations.